Bingo 75 is an Electronic Bingo Caller Machine that you can use in your next activity like in reunions, events, parties and other occasions. 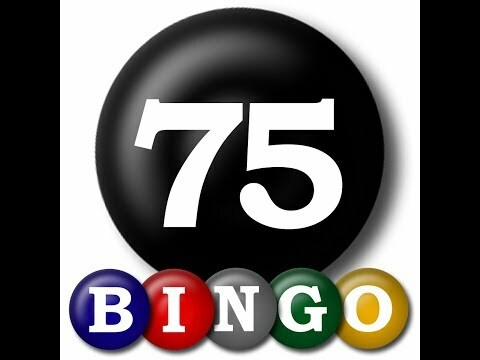 Bingo 75 lets you play with your Friends, Families, Co-workers, Alumni and even other people you are not related with. Bingo 75 also makes the activity livelier and happier than your traditional manual Bingo Machine. Bingo 75 also features "Screen Mirroring" wireless or wired connection, for you to put it on large displays like TVs, Monitors and Projectors. *Screen Mirroring - lets you mirror your device to larger screens like TVs, Monitors, Projectors and any other video output devices. Love it! Works great for school bingo, the kids love to use the 'real' bingo cage, so the board mode is perfect. And it works on my Chromebook! Just my thoughts... if/when you update the app: -A theme with higher contast on the numbers of the uncalled balls so it's easier for little kids to read them. -A "bingo" graphic to go with the buzzer when someone calls bingo. -A button for the home screen to skip the instructions. I love the app! The only reason I didn't give it 5 stars was the graphics for the bingo balls. The glare on the balls make it hard to see on the "O" balls. Adjusting the brightness doesn't help. Please lose the glare effect. I use this app on 3 different computers 3 times a day. So it's safe to say I really do love it. Thank you!